Although in the last post I said that I think we should always have a 4-man defence, I should have pointed that I meant that only for when we’re playing a team of equal quality or are looking for a win. When we’re playing a team such as Real Madrid or Barcelona and are looking to hit on the counter or if we’re defendig a 2-goal lead over Man City in the semi-finals of the Europa League a five-man defence becomes a possibility. We would pull a man from either the front or from the midfield (probably our AM; Cigarini or Renato) and p him in the centre of defence because as much as we like to think of ourselves as rivals to the Big Two their attacks have the potential to rip us to shreds, as Barca showed us a couple of weeks ago. 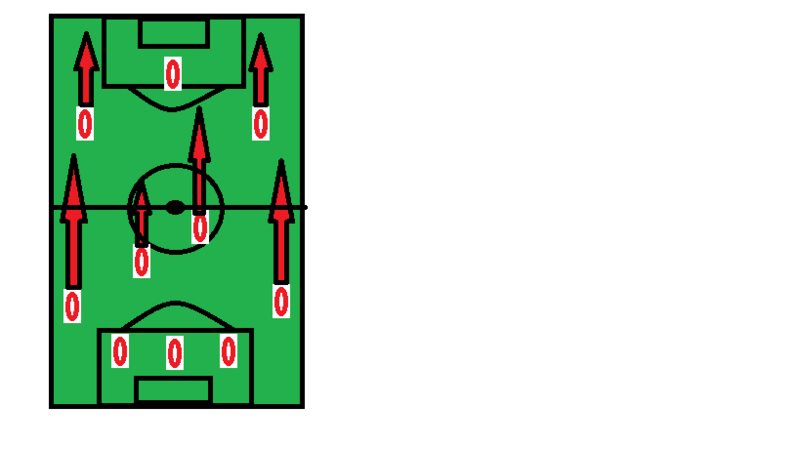 Therefore, when on the attack the Wingbacks overlap and attack and then get back quickly to try and stop the opposing strikers finding to much space. First, the 5-3-2. This can be set up in two ways; with two DMs and then one AM or with one DM and two wingers (and then the two strikers of choice, of course). Of these I think the latter is probably better as it gives us the wingplay which would give us some venom on the counter whereas with only three attacking players on the pitch we would be somewhat toothless against these defences. Of course an advantage of this is that it gives our fullbacks a licence to fly forward and support our wings, due to the extra defensive man. At this point I should probably point out that my preferred defensive lineup in these two formations would be (right to left) Dabo, Fazio, Sqd, Alexis, Caceres/Konko. So, onto my preferred formation of the two; the 5-4-1. I say this is my preference because it bears several similarities to the 4-2-3-1, just without the ‘Renato’. In this formation we would play with two DMs (probably DZ and Cigarini) possibly with Cigarini playing slightly higher to link our defence to offense. We would then play with a lone striker and two wingers who have a licence to go forward, as they did against Levante. I think that this puts less pressure on Zokora to both distribute and destroy, which he would have to do in the 5-3-2. Also, this is the closest we can get to our highly successful formation against Levante. 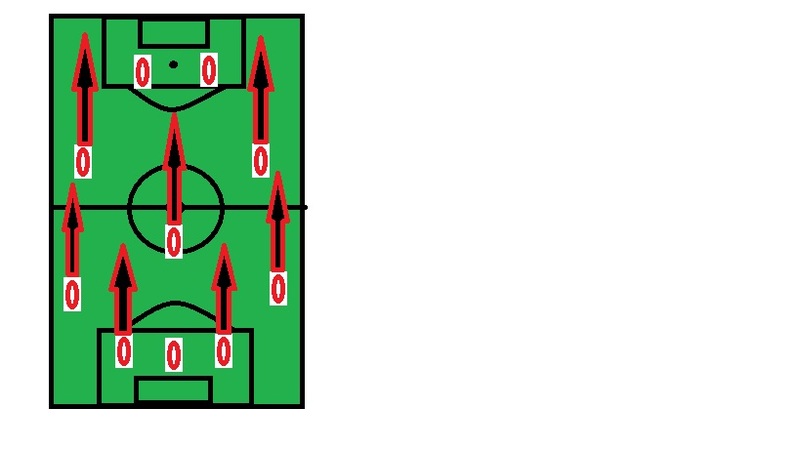 In conclusion, I think that these formation should only be used in a defensiv, counterattacking way, when we are defennding a lead in Europe or playing against the Big Two. Out of the two I favour the 5-4-1 because in my view it gives usmore offensive potency and doesn’t place too much pressure on any of our players. So this is the end of my trilogy of tactical analysis, so all that remains is to ask, what do you think, remembering that these are only to be used when we need to defend.